Good morning all...my first morning post (although that was my initial plan from the beginning). I'd like to say that i'll be posting more frequently in the mornings, but alas, I am a busy lady and the nights seem to be more my companion. Any who, this weekend was supposed to be filled with LizzyB work, amongst that was website/portfolio build out and business card re-design, but as it many times happens, I detoured through the internet and found myself browsing on YouTube for many hours. 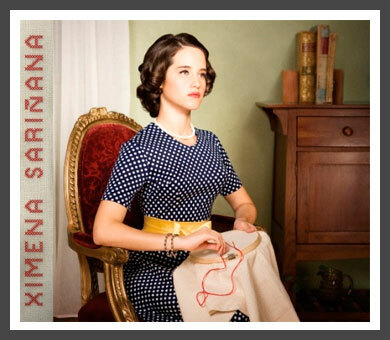 This all started after watching a Mexican movie, Niñas Mal, with a very talented Ximena Sariñana. 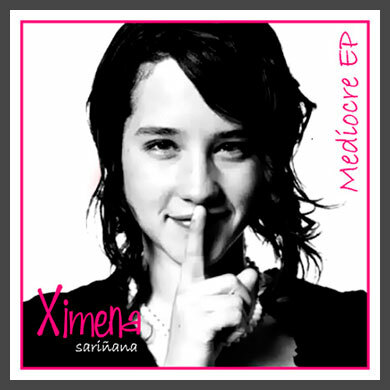 I knew this young lady started out as an actress in Mexican Telenovelas, and into her adolescence co-starred in films such as Hasta Morir, Todo El Poder, and Amar Te Duele, but I vaguely remember her being a singer, and a very talented one at that. Well, she sang the final song in the movie I watched and her voice seemed very familiar, so I began researching a little more. What I found was very surprising since I had heard some of her songs before, I just hadn't realized it was her. The video above is of one of my favorite songs from the album, Mediocre, on which she plays the piano. I love the blues-y sound to her voice, those raspy notes just give the song that much more feeling. Of course, on this blog I have to take note of the design aspect of the post, and this cover art for one of her singles, Vidas Paralelas, is just so quirky and conceptual. I'm loving the type treatment on her name which compliments the actual theme of the image itself. 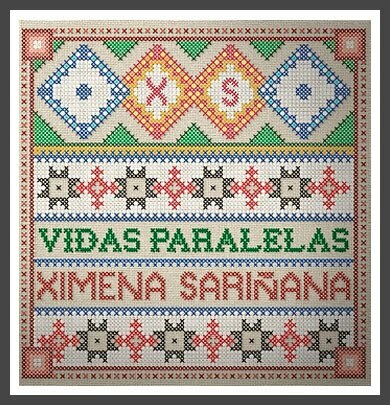 This is another take on the cover using cross stitch...I Love It! Take some time to listen to some of her other tracks, they're so blues-y and filled with such emotion (one of her songs is also included on the Latin version of the New Moon soundtrack). I'm sure glad I got a glimpse into her musical world...she's playing on my Itunes all day!